Hustle and bustle, nice shops, restaurants and bars right on one’s doorstep and a cultural program fulfilling every wish or rather imposing mountains, fresh air, quiet and peace? If you opt for a city hotel in South Tyrol, you don’t have to take this decision. Admittedly, the range of urban destination isn’t very vast in this region. Keeping to the definition “place with town privileges” the choice is rather limited to eight bigger villages: Bozen, Brixen, Bruneck, Glurns, Klausen, Leifers, Meran and Sterzing. Moreover “bigger” has to be interpreted relatively: The city of Bozen for instance has about 105.000 inhabitants, whereas in Glurns there are living only 900 people. 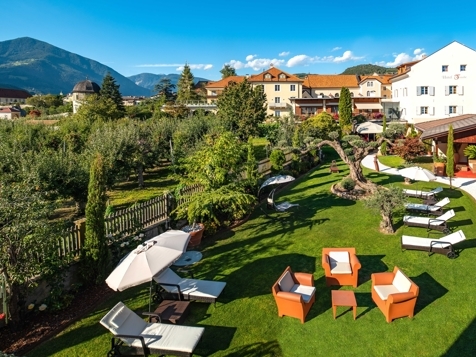 Nevertheless – or rather therefore – a stay in a city hotel in South Tyrol is quite recommendable. The term city hotel stands for all kinds of accommodation in town, from the simple bed & breakfast to the luxurious city palace. The advantages are obvious. Here everything you may need for an entertaining holiday is within your grasp, no matter if you want to go shopping, to find a charming pub or to explore the local nightlife. Furthermore it is just as pleasant to have breakfast in peace and to stroll to the most important sights without hectic pace and car, but leisurely on foot. Not to speak of the culture and event program that satisfies music fans as well as lovers of tradition, gourmets, jocks and families with kids. Not forgetting business traveler, fair visitors and other hard-working guests. Holidays in a city hotel in South Tyrol does not automatically mean hurly-burly, noise and traffic. In the little towns of the region life is comparatively leisurely, if you arrive not in the middle of the peak season. And even then the milling mass at the Christmas market or shopping arcades is a nice experience. If the area around the city hotel besides is as tightly structured as it is in South Tyrol, the transition from urban to rural or rather alpine ambiences is fluid, so that you can quickly change – last but not least also due to the good links of public transport.